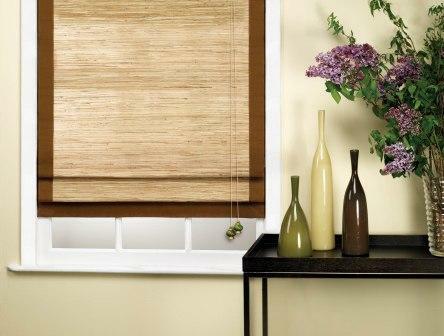 SAVE 40%+5% on our South Pacific Collection Woven Wood Shades (orders over $199). For extra 5% savings, use code: SPC5. Our Woven Wood Shades are available in different textures that can dramatically change the decor of your room to exotic, casual or even rustic. The unique, natural materials used - rattans, bamboos, reeds and grasses - create a haven for when you want to get away from it all without ever leaving the comfort of your own home. Privacy and Blackout liners can be added for more privacy and light control. For a finishing touch, add Edge Bindings to your shade.